Walking Tours of San Luis Potosí – A 30 page book of the History, and Step-by-Step instructions for touring this 460+ year old Spanish Colonial city. The booklet has lots of full color pictures, and is suitable for saving as a souvenier. WT-108 – $14.50 Plus $6.95 International Shipping and Handling. Order by email: wjconaway@yahoo.com, or download fromAmazon.comBarnes and Noble.com; Kobo.com; or Google Play for a considerable discount. Tags: Mexico, Mexico Walking Tours, San Luis Potosi, William J. Conaway. Getting to San Luis Potosí from anywhere is easy. It’s a major industrial city, capital of the State of the Same name, and a university town. I recommend the first-class busses instead of taking a car because, as usual, there’s no place to park. The walking tours are just that, and where the distances are too great I suggest a cab. For just a few dollars you can get anywhere in the city in minutes. Hotels are no problem because there’s a jillion of them. Use your Fodor’s. If you’re on a budget there’s plenty of low cost hotels right down in the heart of the Historic center. Prepare yourself by reading the history of the place first…. The Gran Chichimeca is the name given by the Spanish conquistadors to a vast stretch of land north of the settlement of Querétaro. The word Chichimeca comes from the Aztec language and means barbarian. The Aztecs had been unable to conquer these nomadic tribes of hunter-gatherers, and had only begun rudimentary trading with them from their fortified settlement in what is now San Juan del Río. After the conquest of Tenochtitlán, the Conquistadores built their houses in what is now Mexico City. They rested for awhile, spending their time gambling and carousing, but with each new ship arriving from Spain came more and more men of the same caliber—men looking for adventure, and filled with the desire to make their fortune in the New World. These soldiers of fortune fanned out northward from Mexico City, at first following the Gulf coast into the lands populated by the more sedentary Indians on the edge of the Gran Chichimeca. These early conquistadors and the accompanying clergy evangelized the Indians they encountered and enlisted them into their armies as allies. This was readily accomplished because these Indians had lived in fear of the Chichimecas their entire lives, with good reason, and by joining the Spanish they were provided with powerful weapons and even horses. These expeditions gradually moved inland to confront the Chichimecas directly. The Spaniards went, seeking gold and silver, and their Indian allies went along in search of fertile land, under the protection of the King, that had been promised them for their help. These armies of conquerors followed all the rumors, the legends, the stories, that were related to them by the newly converted Indians they evangelized on their travels. Eventually, in 1546, they discovered the great deposits of silver in Zacatecas. The mines there, hundreds of miles from “civilization,” were totally surrounded by hostile Indians who murdered most of the original settlers and continually attacked those that followed. It became nearly impossible to bring in the much needed supplies, and to take out the rich silver ore that the miners extracted. 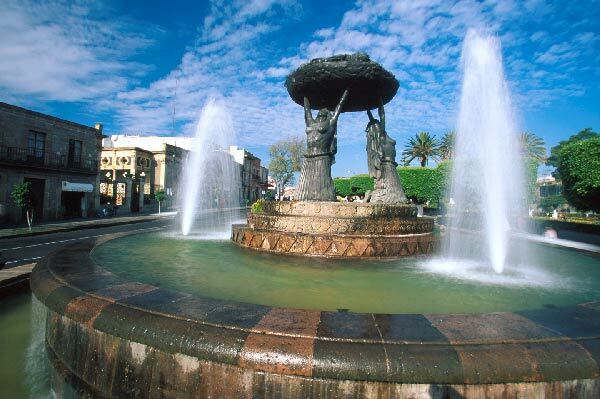 The settlement of Querétaro was the last outpost before the vast unsettled lands that made up the Gran Chichimeca. Vast stretches of unpopulated land along the trail known as “El Camino Real de la Plata,” the Royal Silver Trail, aided the Indians in their attacks against the Spaniards. Father Juan de San Miguel was sent out with converted Tarascan Indians from Acámbaro to build new settlements, and to convert as many Chichimecas as possible. 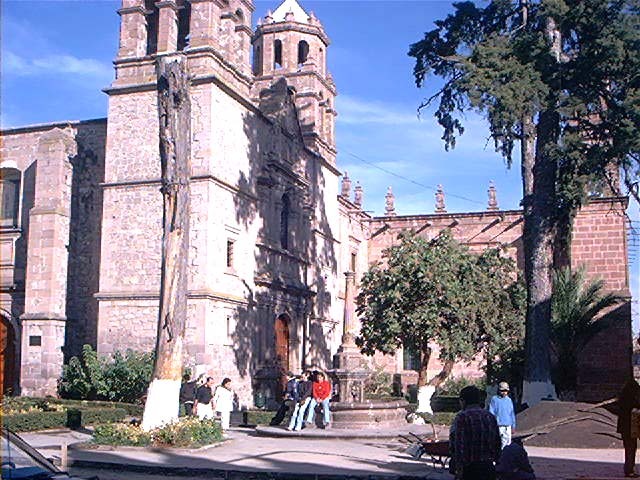 The first settlement was San Miguel de Los Chichimecas (now de Allende), in 1542. From there Father Juan moved north and east to Xichu where he built another. These settlements, from the very first, suffered sporadic attacks by bands of marauding Indians, who viewed these settlements as encroachments on their territory. 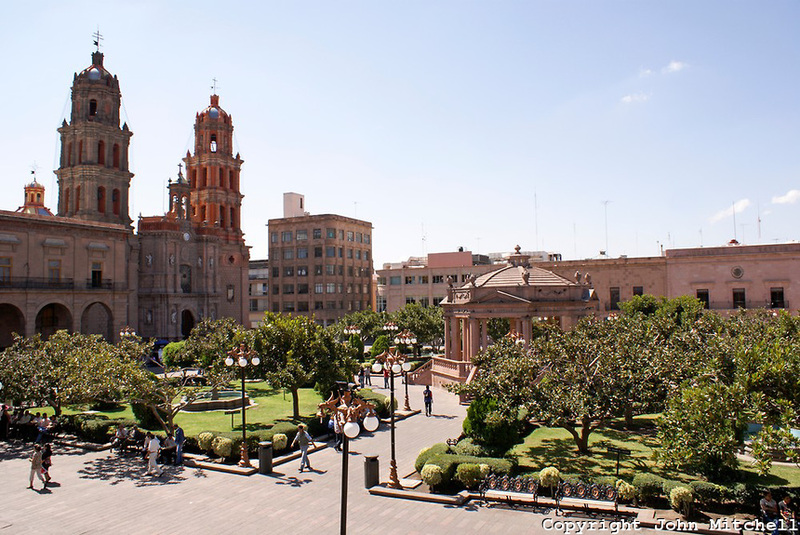 Tags: Chichimeca, Gran Chichimeca, Mexico, Mexico City, Mexico Walking Tours, San Luis Potosi, William J. Conaway. 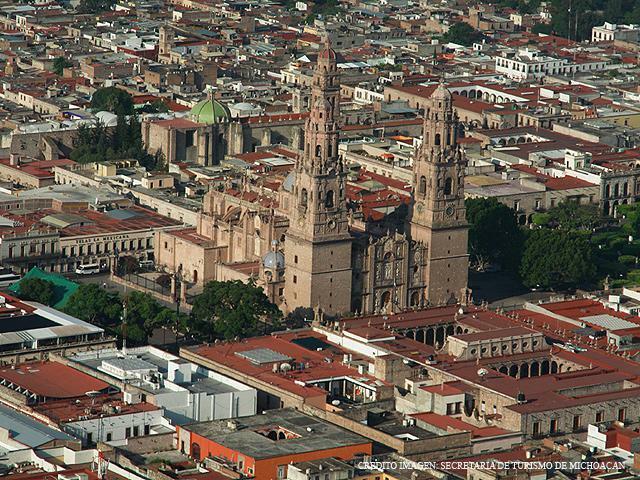 Tags: Adventure Mexico, Mexico Walking Tours, San Luis Potosi, William J. Conaway. 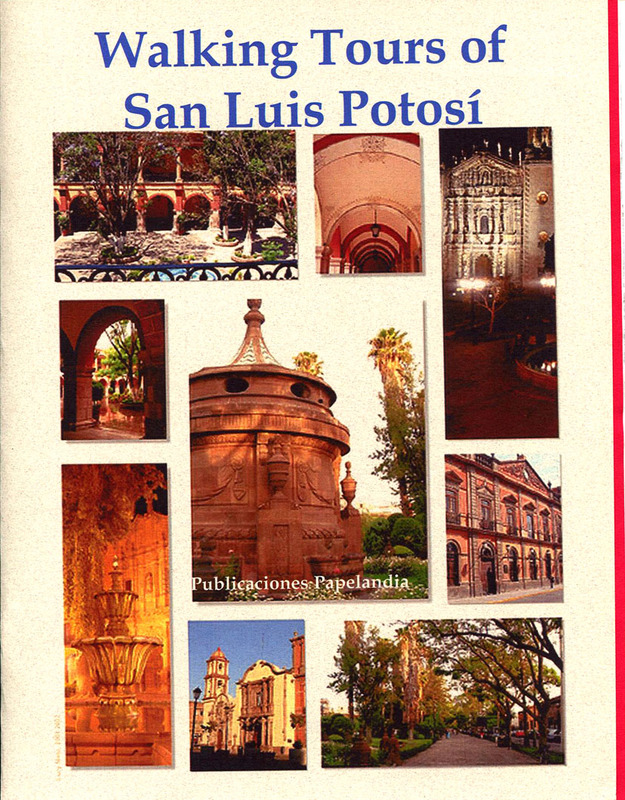 Walking Tours of San Luis Potosí – A 30 page book of the History, and Step-by-Step instructions for touring this 460+ year old Spanish Colonial city. The booklet has lots of full color pictures, and is suitable for saving as a souvenier. WT-108 – $14.50 Plus $6.95 International Shipping and Handling. Order by email: wjconaway@yahoo.com, or download from Amazon.comBarnes and Noble.com; Kobo.com; or Google Play for a considerable discount. Walking Tours of San Luis Potosí – A 30 page book of the History, and Step-by-Step instructions for touring this 460+ year old Spanish Colonial city. The booklet has lots of full color pictures, and is suitable for saving as a souvenier. WT-108 – $14.50 Plus $6.95 International Shipping and Handling. Order by email: wjconaway@yahoo.com, or download from Amazon.com Barnes and Noble.com; Kobo.com; or Google Play for a considerable discount. 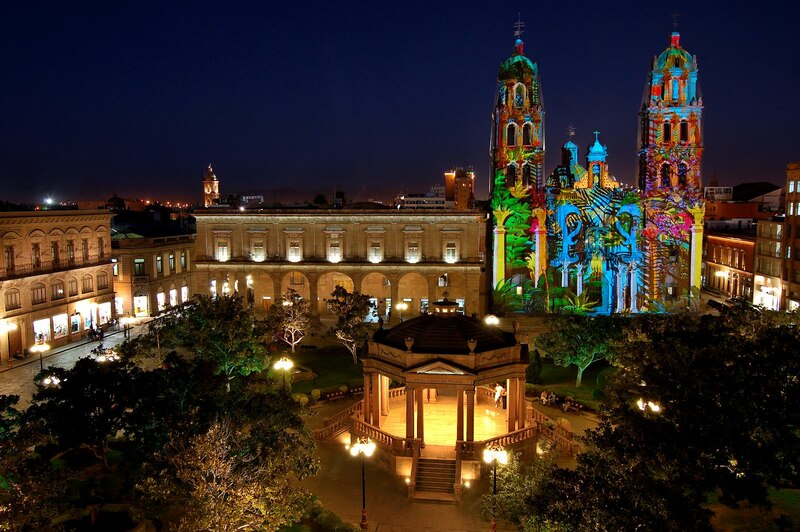 Walking Tours of Morelia: The City of Music – A 30 page book of the History, and Step-by-Step instructions for touring this 460+ year old Spanish Colonial city. The booklet has lots of historic and full color pictures, and is suitable for saving as a souvenier. WT-105 – $14.50 Plus $6.95 International Shipping and Handling. Order by email: wjconaway@yahoo.com, or download from Amazon.com Barnes and Noble.com; Kobo.com; or Google Play for a considerable discount. 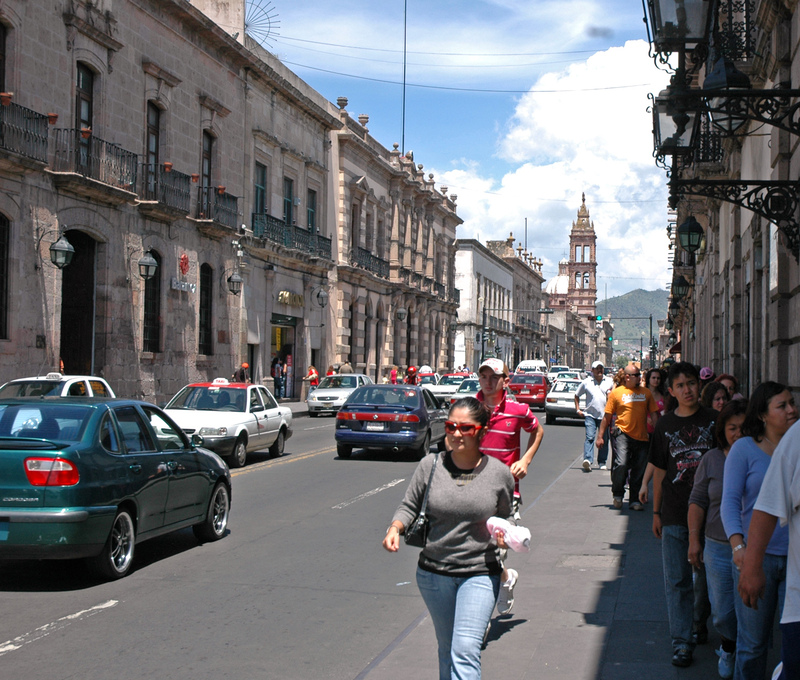 Tags: Adventure Mexico, Mexico Walking Tours, Morelia, William J. Conaway. 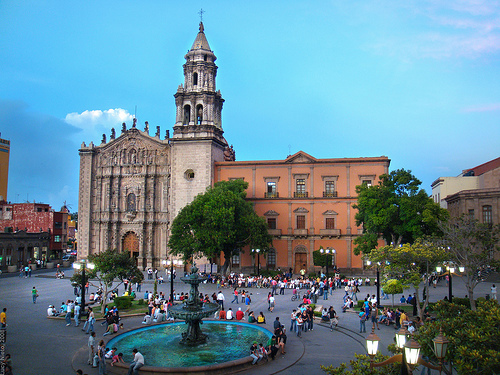 Morelia, the capital of the State of Michoacán, known, during the Spanish Colonial period, as Valladolid is located in the Guayangareo valley at 6,368 feet above sea level. It’s 195 miles west of Mexico City and 228 miles Southeast of Guadalajara. 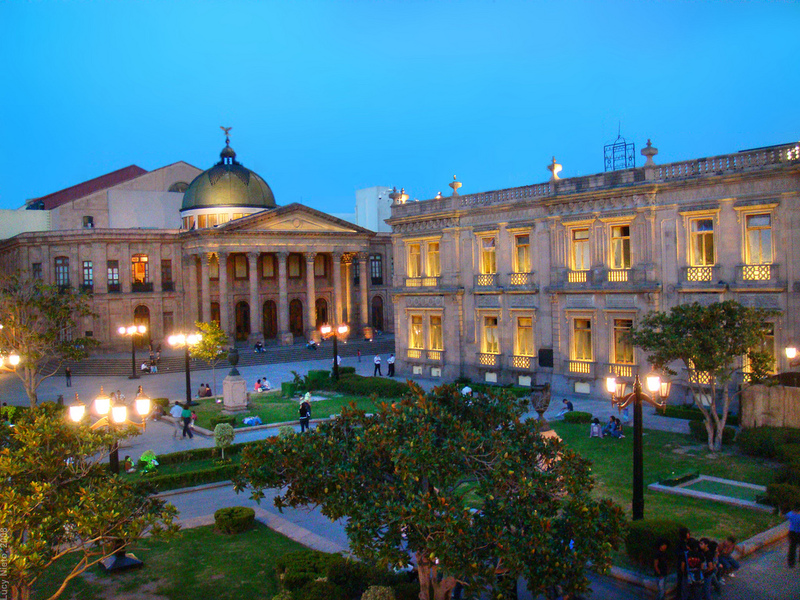 Morelia has a population of approximately 500,000 people at this writing, an important intellectual and artistic center for the entire region. The Guayangareo valley was swamp land and there was a constant battle against malaria of its inhabitants until finally in 1939, the Contzio dam was built and the swampland drained. The ancient volcano of Quinceo is responsible for the configuration of the valley and the city is surrounded by the mountains of Santiaguito, Santa María de la Asunción, and a towering wall of pink cantera stone with which much of the cities buildings were adorned. The lay-out of the city was designed by the master mason, Juan Ponce in 1543. The designation as a city and the coat of arms came from Carlos V, in 1545 and 1553 respectively. 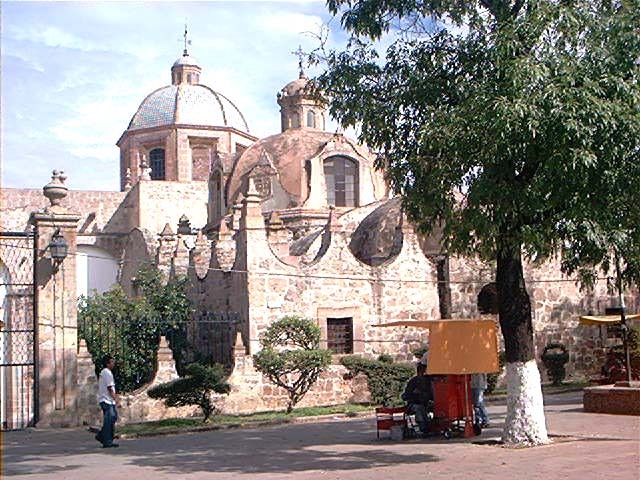 It remained a relatively small city until the civil powers and the Episcopal See were moved there from Pátzcuaro in 1579. The first settlers were Luis Dávila, of Seville; Juan Pantoja and Domingo de Medina, of Medellín; Luis Calero, of Palos de Moguer; Pedro Moreno and Gregorio de Aviña, of Galicia; Juan Alvarado, of Bandajoz; and Francisco Moreno, of Aragón, Spain. Their characteristic regionalism was forgotten in the New World and these Spanish families gave birth to Criollos, sons and daughters born in Nueva España. One particular encomendero of Michoacán, Juan Villaseñor Orozco, founded the families of Miguel Hidalgo y Costilla (father of México) and Agustín Iturbide (first emperor of México). The Spaniards followed the ancient Indian trails through the region known as Mil Cumbres, Thousand Pinacles, 315 kilometers to get there. This forested, mountainous area is characteristic of much of the State. On this modern day highway that follows the original route you will see valleys that range from cold, to warm, to hot lands and back again. This difficult route kept Morelia isolated from the rest of the country for much of its history with a few notable exceptions. The early years of Valladolid belong to the clergy, there were so many churches and convents (in 1738 there were 40 convents). The ever-present sound of bells called the people to prayer, announced grief, or joy. Tags: Juan Alvarado, Juan Pantoja, Mexico, Mexico Walking Tours, Morelia, Renaissance Spirit Morelia, Valladolid, William J. Conaway.